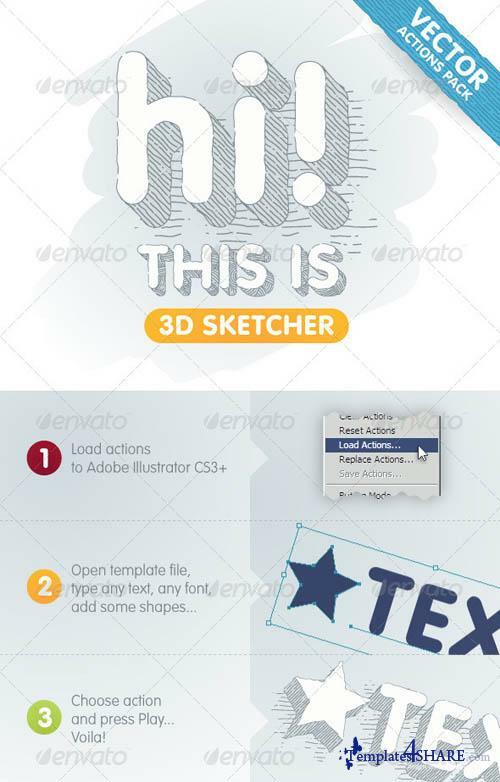 Actions pack for Illustrator CS3 and above. 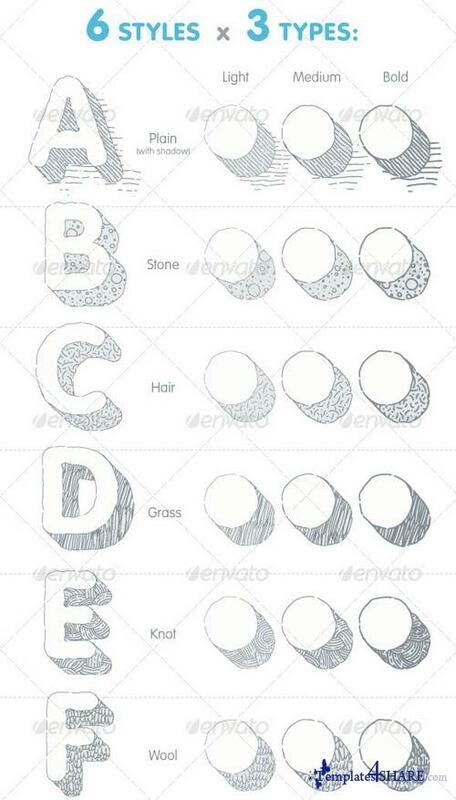 There 6 hand-drawn action styles (Grass, Hair, Knot, Plain, Stone and Wool) with 3 types (light, medium, bold) and 8 extrude directions (BR - bottom-right, R - right, TR - top-right, T - top, TL - top-left, L - left, BL - bottom-left, B - bottom). 144 actions overall!